Fans, commentators, and statisticians all enjoy streaking from time-to-time. Hitters, runners, and fielders earn extra kudos for putting several successes in a row. Managers and franchises garner respect by making the playoffs in consecutive years and even pitchers get credit for having a hot hand, despite playing every few days at most. But what if you're going the other direction? As companion to my look at all-time hitting futility, I dug into the history of pitchers for 5 horses who left the gate slow and spent most of the race falling further behind. I built this list using Baseball-Reference's pitching streak finder for most consecutive game scores under 50 to begin a season. Game scores help isolate starting pitcher performance, since wins and losses depend a great deal on run support. Check out Tim De Block's article on SB Nation for more, but the bottom line is that below 50 game score = below 50% odds of winning. Tossing a string of mediocre games means extra work for your teammates and these 5 guys did that the most since we started keeping track. Kennedy's 1949 pitching line of 16 starts, 32 relief appearances, and 153 innings says a lot about what the 101-loss St. Louis Browns had to work with. Seven different guys started 13+ games and even team "ace" Ned Garver (114 ERA+) went 12-17 thanks to lousy run support. Two of their most-worked pitchers, Cliff Fannin and Karl Drews, combined for 48 starts but just 12 wins. Bill's own "streak" covered five months, April 23 to August 21, with two dozen relief outings mixed in. He did decent work out of the pen, but allowed 4+ runs almost every start, a deep hole for the iffy St. Louis lineup to escape. High point: Collected two relief wins and a save between Jun 28 and July 19. Low point: Lost 4 straight starts in June by combined score of 32-7. 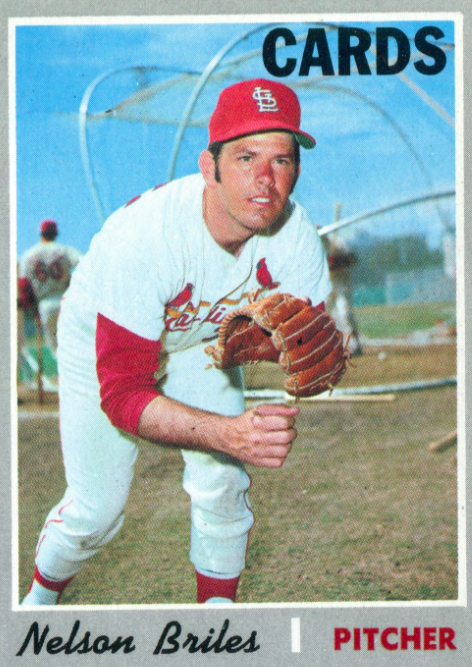 I'm a little distracted by the card photo itself, as there's a Cardinals uniform #60 in the background, but no coach or player on the official roster sported that number during Nelson's tenure. Anyone know the St. Louis hitting instructors or spring training squads well enough to guess who it might be? Nelson got off easy considering his 9+ ERA, going 3-3 over those 12 starts. The Cardinals gave him a lot of run support and bad starts often became no-decisions. Briles did come close to pitching himself off my list with multiple game scores just under 50, but "close" only counts in hand grenades and partner dancing. High point: Thanks to the aforementioned run support, Briles pitched into the 8th inning twice and won both games, July 17 vs. ATL and August 1 at HOU. Low point: Left two starts without recording an out, May 29 vs. LA and June 13 at SF. Colborn spread his ill luck across two teams, as KC moved Jim to the Mariners in a mid-season swap for Steve Braun. Seattle gained little from the transaction other than an answer to the question, "what 1978 pitching acquisition dropped his first 6 starts?" 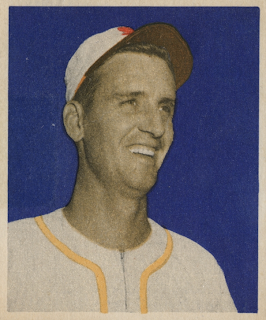 High point: Jim entered KC's April 28th game in the 2nd inning and threw 6.1 innings of 1-run ball, picking up the relief victory in a 7-6 Royals comeback. That might've been a 50+ game score as a starter. 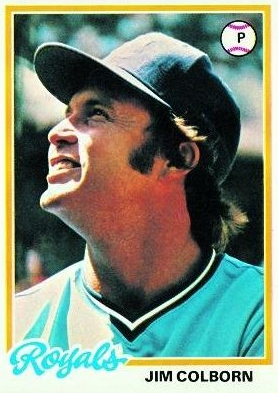 Low point: Won just 1 of first 10 starts with Seattle and never pitched in the majors again after 1978. Brian kicked off his subpar streak on April 5th as KC's Opening Day starter, yielding 5 runs in 5 innings in an eventual no-decision. Excellent run support kept his record clean for three weeks, but a return to average Royals hitting started a tailspin of 7 straight losses and demotion to the bullpen. Spot starts on June 30 and July 19, both losses, capped the misery at 13. High point: April 20, 15-5 win over Cleveland, 46 game score. Low point: May 5, 10-3 loss at Toronto, 11 game score. Statistical let-downs not enough for you? Brian Anderson also punched his ticket to Internet immortality in 1998 by testing the temperature of a hotel iron with his face. Wonder which he'd rather experience again, those ignominious cheek burns or this 2004 streak. Blackburn went 4-5 despite this 2012 streak of poor game scores, so why do I rank it most forgettable? Two reasons. First, Minnesota didn't jerk Nick around with bullpen duties. 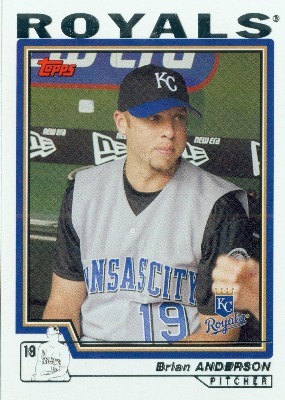 They kept sending him out to chew through 5 or 6 innings, carry a 7+ ERA, and absorb fan frustration after losses. Second, this year's 13-game streak followed a 6-game streak at the end of 2011, so Nick also holds the combined record of 19 straight starts with a below-average game score. High point: Nick picked up 4 straight wins between May 11 and June 22, thanks to good run support. 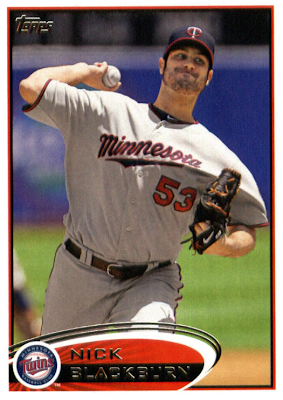 Minnesota averaged 7+ runs during that streak, helping Blackburn's record look good despite his ERA jumping from 6.84 to 7.45. Honorable mention to Scott Elarton, who started three different years on 8+ game cold streaks. Ouch. UPDATE: Discovered that High Heat Stats examined pitchers with good and bad streaks just yesterday! Very cool. Any infamous pitching streaks or performances you'd add to the list? Great post... love using Baseball Reference. They have so many cool pieces of trivia. Can't think of any streaks off the top of my head... but I'm hoping some of your other readers share some so I can read about them. Merry (Steve and Maurice) Christmas!